Potatoes are the humblest of vegetables is available in many shapes, sizes, and colours. Indians in Peru were the first people to cultivate the potato. 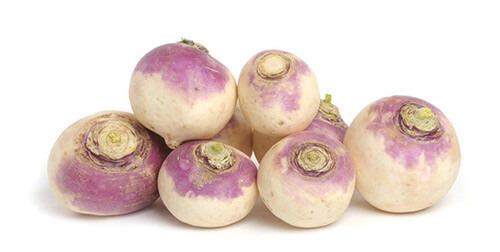 In Tudor Britain, potatoes were called “apples of love” and considered an aphrodisiac. In Alaska during the Gold Rush, the potato was traded for gold. Food was in short supply and the potato was a good source of nutrition. Guinness Book of World Records lists the largest potato grown at 18 lbs 4 oz in England, 1795. French Fries were introduced to North America when Thomas Jefferson served them at a White House dinner. Mr. Potato Head was the first toy advertised on television. The potato was the first vegetable to be grown in space on the Columbia Shuttle in 1995. Potatoes cook more quickly if a lump of butter is added to the boiling water. Vitamins in potatoes are susceptible to heat, air, light, and water, so store in a cool, dark, dry place. 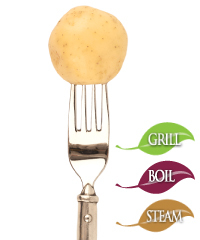 Water should not be at a rolling boiling, which can damage and overcook the potato; a gentle simmer will do. 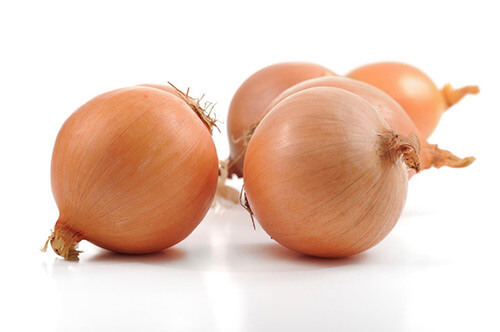 Store potatoes and onions separately as both give off gasses that will cause the other to spoil faster. A potato has more potassium than a banana, more Vitamin C than an orange, more fibre than an apple. 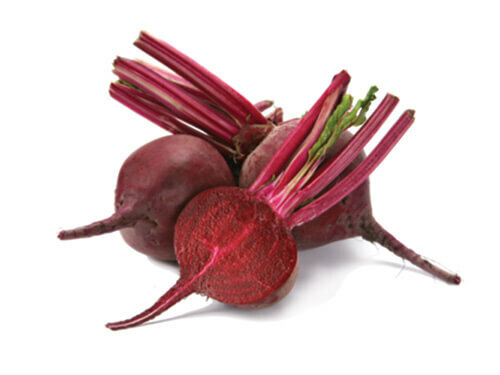 Easily recognized by their unique pink eyes, this heirloom variety was bred in the late 1920s as an early variety that produced a larger crop in a shorter time than other varieties. Delicate early potatoes are harvested before they set their skin. Keep them refrigerated until ready to cook. Warba potatoes are available in mid-May through July. New Nugget potatoes are rich in immune-boosting vitamin C and B6 which balances mood. These little gems also contain nutritious carbohydrates and minerals such as calcium, iron, potassium, phosphorous, and folate. Store “Nugget” potatoes in the refrigerator as their delicate skin makes them highly perishable. Too much light will cause potatoes to turn green and develop a bitter taste. Our Nugget potatoes are selected and sorted to a nice, small uniform size making them quick to prepare. 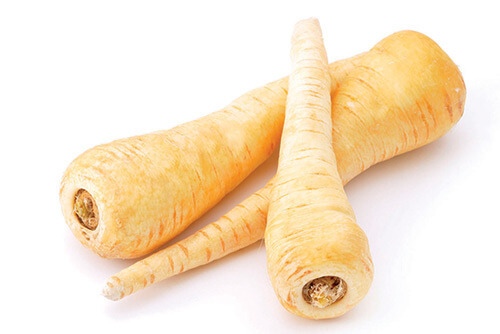 BCfresh offers nugget potatoes in white, red-skinned or yellow-fleshed assortments. Red and Yellow “Nugget” Potatoes are available July through March. Nugget potatoes are packed with potassium, vitamin C and B6, and antioxidants. Yellow flesh potatoes also contain high levels of protein, and folate which helps make healthy red blood cells and DNA. 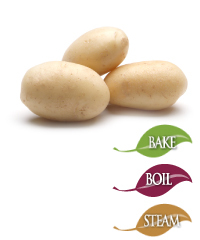 White potatoes are an all-purpose potato, round or oblong in shape with thin textured skin. Local BCfresh white potatoes are available mid-July to October. Imported product (Bestfresh) is available in November and December. White potatoes contain vitamin C, A, and K, as well as calcium, phosphorous, potassium, folate, and lutein. 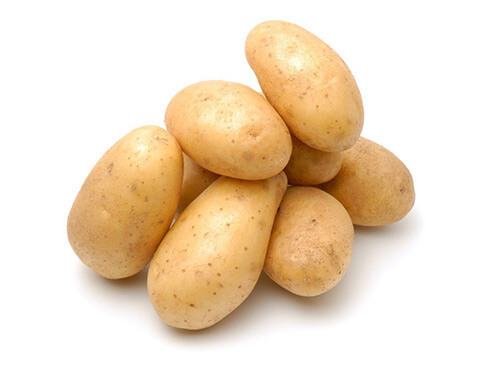 They contain fewer carbohydrates than other varieties of potatoes. Store mature potatoes in a cool, dry, dark, well-ventilated location. Storing them in the refrigerator will cause the starch within potatoes to convert to sugar and the potato will darken when cooked. 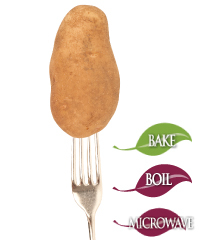 Too warm a temperature will cause potatoes to shrivel and sprout. Red potatoes are slightly oblong in shape with a red skin, creamy white flesh and shallow eyes. Local BCfresh red potatoes are available from August through May. Imported product (Bestfresh) is available the remainder of year. 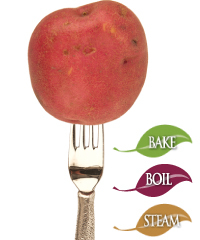 Red potatoes provide nutritious carbohydrates, vitamins, and minerals. Red potatoes contain 5 times the level of antioxidants compared to the russet potato. Leave the skin on for more fiber. 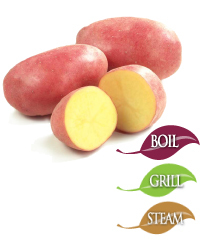 BCfresh yellow flesh potatoes are available from August through May. 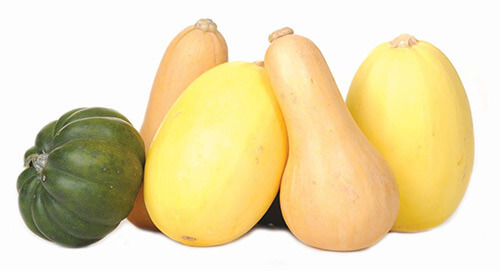 Yellow flesh potatoes are packed with potassium, vitamin C and B6, and antioxidants. Yellow flesh potatoes also contain high levels of protein, and folate which helps make healthy red blood cells and DNA. Russet potatoes are oblong in shape with shallow eyes. Russet potatoes have a high starch content which make them the perfect baked potato or roasted potato, but they are not recommended for boiling, salads, or scalloped potatoes, as they tend to break apart during and after cooking. Local BCfresh russets potatoes are available August through April. A russet potato contains approximately 100 calories and is packed with nutritious carbohydrates and minerals. 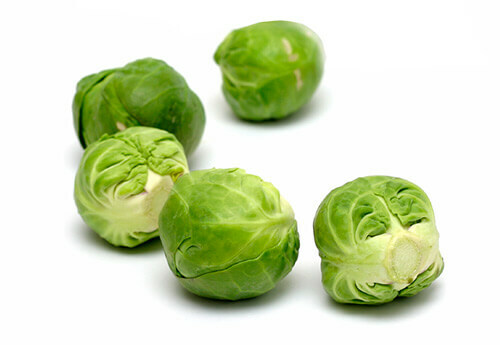 High in vitamin C and protein, with good amounts of B6, potassium, magnesium, calcium, and phosphorous. Kennebec potatoes are an heirloom variety that excels as fresh-cut French fries – the favourite in most restaurants. 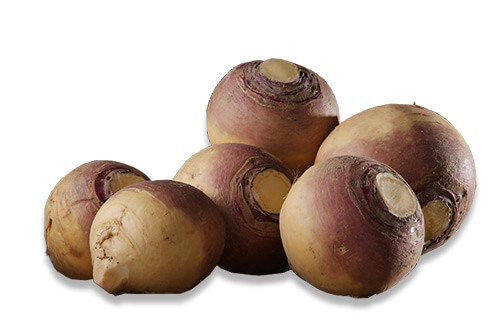 The Kennebec is a large potato, with light tan skin, a uniform appearance, shallow eyes, and white flesh. The skin is thin so it peels easily. Local BCfresh Kennebec potatoes are available August through June. Imported product (Bestfresh) is available in July. Kennebec potatoes are loaded with vitamin C and nutritious carbohydrates. 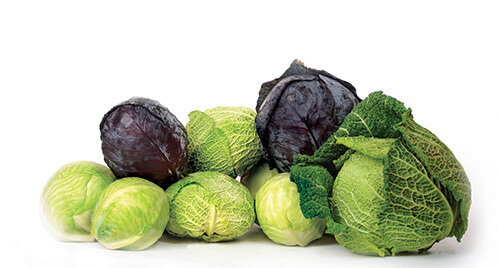 They contain vitamin A and K, as well as calcium, phosphorous, potassium, folate, lutein, and iron. 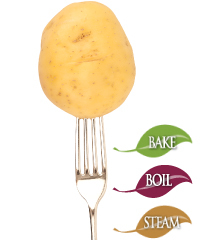 A unique variety of rose-coloured skin, gold-coloured flesh potato, with a bold and buttery taste. Local BCfresh Klondike Rose potatoes are available from August through May. Imported product (Bestfresh) is available June and July. 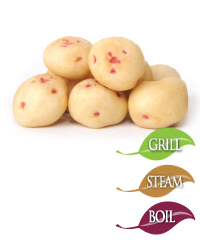 Klondike Rose potatoes are loaded with vitamin C and nutritious carbohydrates. 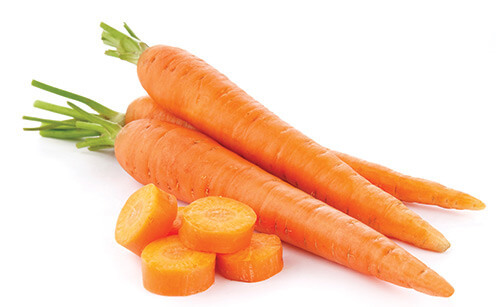 They contain vitamin A and K, as well as calcium, phosphorous, potassium, folate, lutein, and iron. There were 216,216 potatoes on the Titanic? There are more than 5000 varieties of potatoes worldwide? The potato is also called “the lemon of the north”?